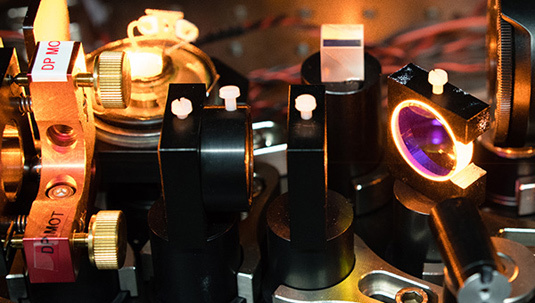 LMU’s latest MOOC, an “Introduction to Quantum Optics”, takes students into the world of photonics, and provides insights into the fascinating and often counterintuitive behavior of light at the quantum level. Prof. Dr. Immanuel Bloch and Dr. Simon Fölling both agree that the fascination and complexity of light can best be appreciated by considering it on a microscopic scale. So LMU’s new Physics MOOC explains how the behavior of light can be understood on the level of the photon, the light quantum. The course, which begins on November the 25th, thus provides an “Introduction to Quantum Optics”. Since 2013, LMU has developed several Massive Open Online Courses (MOOCs) for presentation on the Coursera platform. This latest course brings the total number of MOOCs from LMU to nine, of which four are available on demand, i.e., participants can begin at any time. Furthermore, in response to the huge demand, two of these LMU MOOCs have been produced not only in English but also in Chinese. The lecture courses are free of charge and open to all, anywhere in the world – and no prior qualifications are required.